Achim Moeller is pleased to present Lyonel Feininger: The Catalogue Raisonné of Paintings. The first installament includes basic details for paintings created from 1907 to 1918, as well as a chronology and lists of literature and exhibitions pertaining to Lyonel Feininger. The Catalogue Raisonné is updated on a regular basis. All information published in the online Catalogue Raisonné is free of charge, and is available to the general public by registering and accepting our terms and conditions of use. If this is your first first time visiting this online catalogue, please take a minute to fill in the information below in order to gain access. Welcome back. If you have already registered for this online catalogue, please enter you email in order to log back in. 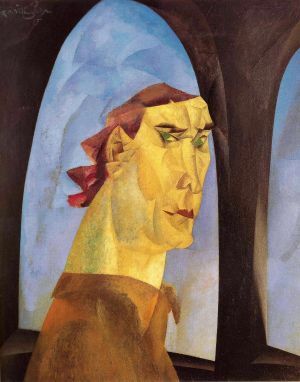 1.1 Moeller Fine Art GmbH (hereinafter: the "Archive") operates an Online Catalogue Raisonné concerning the paintings and works of the artist Lyonel Feininger (hereinafter: "Artist"). This is a digital database containing information concerning the life and works of the Artist. 2.1 A prerequisite for the use of the Online Catalogue Raisonné is that the User is duly registered for the Online Catalogue Raisonné on the website www.feiningerproject.org. Registration is free of charge. 2.2 Only natural persons who are at least 18 years old are permitted to register. In registering, the User confirms that he is at least 18 years old. 2.3 To register, the registration data must be entered into the registration form. The requested data must be provided by the User in full and must be true. The use of third-party data or false data is not permissible. 2.4 Only the User himself will be entitled to use the database. The access data must be kept secret and not disclosed to unauthorized third parties. The User is obligated to ensure that the access data is not made available to any third party. 2.5 The Online Catalogue Raisonné is accessible and searchable via the Internet. The Internet connection for use of the Online Catalogue Raisonné and the possibly required procurement and installation of software are to be carried out by the User at his expense. The User bears the responsibility that the technical requirements for the access to the Online Catalogue Raisonné are met at his premises, particularly with respect to the hardware, the operating system, the connection to the Internet and the browser software, in compliance with the technical specifications provided by the Archive, if applicable. The right to implement technical modifications, particularly on the search platform with regard to the hardware and software required for the use of the Online Catalogue Raisonné, is reserved; the User will be notified of such modifications in due time. In the event of the further development or modification of the technical components by the Archive or third parties (e.g. operating system, browser software), the User will be responsible for making the necessary adjustments to the software and hardware he uses. 3.1 The User is permitted to access and search the Online Catalogue Raisonné personally for his own educational purposes. This does not include any acquisition of rights to contents. The Archive or the respective holder of the rights retains all existing rights regarding the contents of the Online Catalogue Raisonné. 3.2 Any use over and beyond that described under clause 3.1 is excluded and requires the separate written consent of the Archive in advance. This applies, in particular, to automatic retrieval of contents, producing systematic collections from the search results, systematic further processing of search results by the User, particularly by reproducing a part of the databases that is to be deemed major, based on type and scope, removing copyright notices, copying saved search results onto other data carriers or into networks, entering search results for use in a local retrieval system, producing and using reproductions that are not intended only for the User's personal use, reproducing documentations – also in excerpts – and using the Online Catalogue Raisonné for commercial purposes, particularly for producing expert opinions and for selling the search results. The User is, in particular, not authorized to download the images of the works in the Online Catalogue Raisonné, to forward them to third parties for valuable consideration or free of charge or to make it possible for third parties to access the images. 3.3 The User acknowledges that the Online Catalogue Raisonné is a database as defined in § 4 (2), § 87a (1) of the German Copyright and Related Protection Rights Act (UrhG) produced by the Archive. The computer programs required to use the database are subject to protection under §§ 69a et seqq. of the Copyright and Related Protection Rights Act. Handbooks and other documentations are subject to protection under § 2 of the Copyright and Related Protection Rights Act. This does not affect third-party rights relating to the provided contents. 3.4 In addition, the User may contact the The Lyonel Feininger Project LLC via an order button for its expert's assessment regarding the work of Lyonel Feininger. Such expert's assessment will be subject of an additional agreement between the User and The Lyonel Feininger Project LLC. Fees may apply. 4.1 The Archive does not assume any warranty for the Online Catalogue Raisonné and its contents being up to date, functional, available or complete or with regard to their quality. 4.2 The Archive is liable without limitation for damage caused intentionally by or by the gross negligence of the Archive or its legal representatives, executive staff or simple vicarious agents. 4.3 The Archive is not liable for breaches of immaterial contractual duties caused by simple negligence. Otherwise, the Archive's liability for damage caused by simple negligence is limited to such damage that must typically be anticipated within the framework of the relevant contractual relationship (foreseeable damage typical for the type of contract). This also applies to breaches of duty caused by the simple negligence of the Archive's legal representatives, executive staff or simple vicarious agents. 4.4 The above limitation of liability does not apply in the event of bad faith, in the event of an injury to life, body or health or in the event of a breach of a guarantee or to claims arising from product liability. 4.5 The Archive does not assume any warranty that no third-party rights will be infringed by the User of the Online Catalogue Raisonné. The User indemnifies the Archive and holds it harmless from any and all third-party claims. 5.1 The Archive does not assume any warranty for the Online Catalogue Raisonné and its contents being up to date, functional, available or complete or with regard to their quality. 5.2 The Archive is liable without limitation for damage caused intentionally by or by the gross negligence of the Archive or its legal representatives, executive staff or simple vicarious agents. 5.3 The Archive is not liable for breaches of immaterial contractual duties caused by simple negligence. Otherwise, the Archive's liability for damage caused by simple negligence is limited to such damage that must typically be anticipated within the framework of the relevant contractual relationship (foreseeable damage typical for the type of contract). This also applies to breaches of duty caused by the simple negligence of the Archive's legal representatives, executive staff or simple vicarious agents. 5.4 The above limitation of liability does not apply in the event of bad faith, in the event of an injury to life, body or health or in the event of a breach of a guarantee or to claims arising from product liability. 5.5 The Archive does not assume any warranty that no third-party rights will be infringed by the User of the Online Catalogue Raisonné. The User indemnifies the Archive and holds it harmless from any and all third-party claims. 6.3 The Archive reserves the right, in particular, to discontinue the free access to the Online Catalogue Raisonné at any time and to make continued use possible only in return for payment of a reasonable charge. The User will be informed of this by e‑mail at least 60 days before this change comes into force. The User will be asked, when he next accesses the Online Catalogue Raisonné after the 60-day period has expired, whether he accepts this change and will be requested to enter his payment details. If the user does not accept the change, the amendment request will be deemed denied. The contract will then be continued without the proposed amendments, but can be terminated by either Party at any time without notice. 6.4 Should one or more of these Terms be invalid in whole or in part, the remaining Terms shall remain valid. In such case, the Parties undertake to agree on a legally valid clause that reflects as closely as possible, in commercial terms, the clause that is invalid in whole or in part. 6.5 The legal relationship between the User and the Archive is governed by German law, excluding the United Nations Convention on Contracts for the International Sale of Goods. 6.6 Sole place of jurisdiction, to the extent permitted by law, shall be Berlin. 6.7 If you have any questions regarding the User's rights and duties under this Contract or wish to exercise additional rights, please contact: mail@feininger project.org.